The United States and the European Union are trying to protect their markets against cheap Chinese exports. They are mostly concentrating their attention on the steel industry. In February, the US imposed customs duties on Chinese steel imports ranging from 63 to 190%. 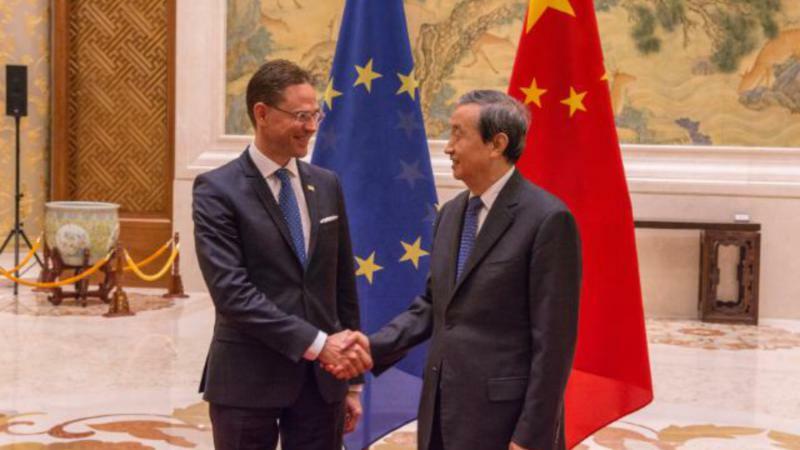 The EU then burdened some Chinese steel products with taxes amounting to 30–65 %. Last December, China’s fifteen-year exemption from the Accession Protocol to the World Trade Organisation (WTO) expired. It allowed other members to use special methods to calculate anti-dumping protectionist measures. As a result, states were able to impose much higher duties, for example, on Chinese products, thus protecting their markets from cheap imports – and dumping. However, this could change with the acquisition of market status. More than 90 countries have already acknowledged China’s market status. China expressed concerns on Tuesday (28 February) over what it said was increasing protectionism after European Union regulators imposed new duties on steel imports from the world’s biggest producer. The European Commission, though, has come up with a different approach. It has proposed new legislation that no longer divides countries according to market and non-market economies. If the new legislation is passed, the EU will be able to continue to impose protectionist measures against China and the question of whether it assigns China market status will have no meaning. According to the new rules, the EU would no longer assess countries as a whole but would focus on the individual markets in those countries. If malpractice or free trade were discovered in any of them, there would be no problem in raising customs duties or non-tariff barriers. 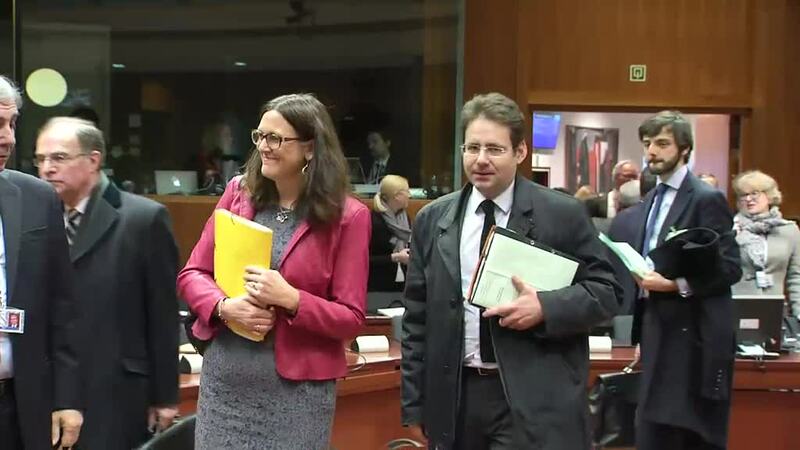 So far the Commission’s proposal has not faced any great resistance among the member states. So it seems that the end of the division into market and non-market economies appeals to individual governments. “I agree that we have to find a way how to protect steelmakers, ceramic industry and other sectors against the Chinese dumping. Especially when we see the policy of the United States towards China,” Czech ANO 2011 MEP Dita Charanzová (ALDE) also said. “The proposal by the Commission is a good way to go. But it must be further fine-tuned so that it really gives guarantees to these sectors,” she stressed. Heated discussions regarding the granting of market status to China took place in the EU throughout the whole of 2016. Not only MEPs but also European industry, for the most part, was strongly opposed to the EU considering this Asian superpower as a market economy. “All the evidence clearly shows that China is not a market economy. 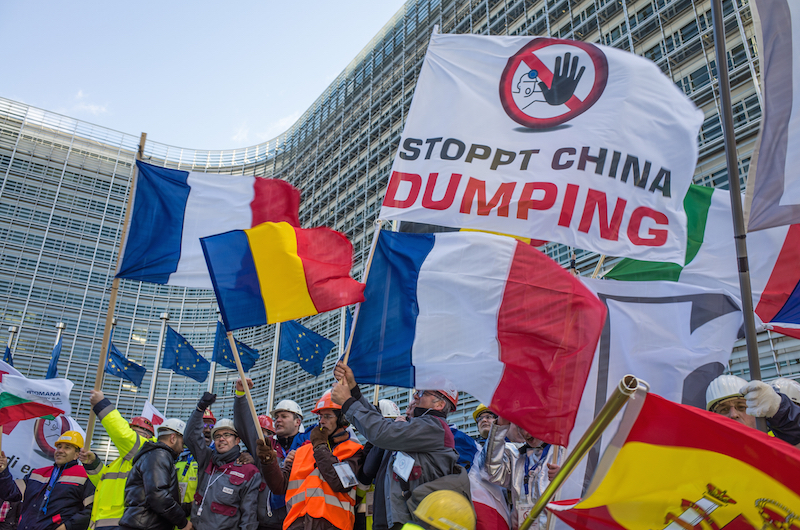 There is no reason why the European Union should act this way with China. On the contrary, it should use all the instruments it has to defend itself against unfair competition and protect its industry and jobs,” said the German MEP Reinhard Bütikofer (Greens/EFA). UK Labour MEP David Martin (S&D) was even more radical. “We have to insist on improving and strengthening the protection of our trade against imports from China. European manufacturers cannot wait any longer. We have to act now. If we don’t, soon there will be no industry in the EU for us to protect,” he said. 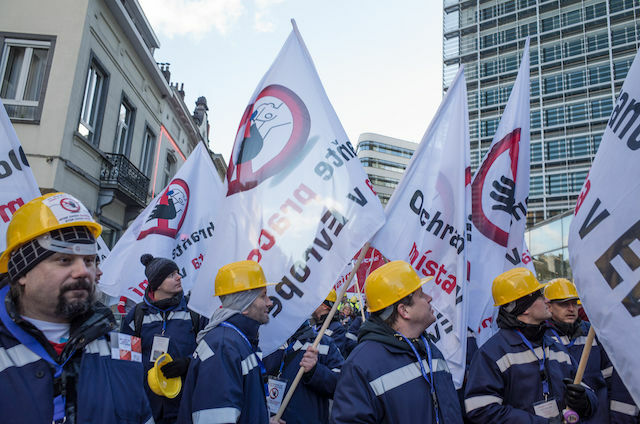 Among the industries in the EU, steelworkers have been the most opposed to recognising China as a market economy. 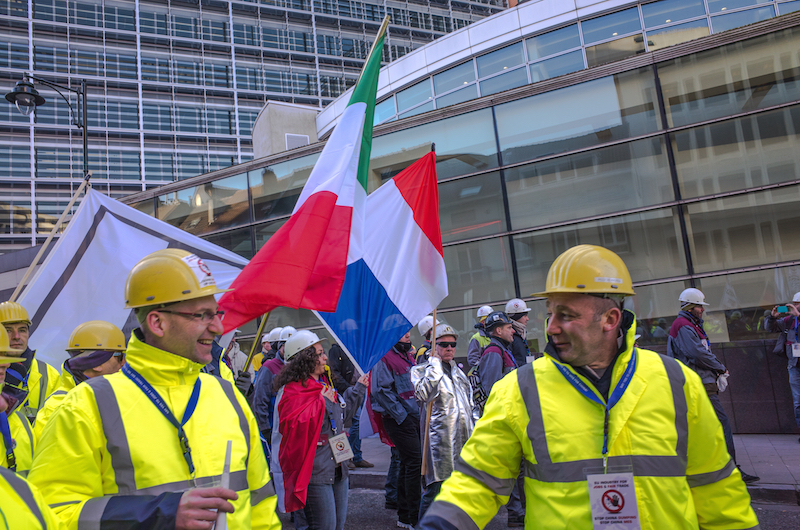 “We keep repeating that granting market economy status would be devastating not only for the steel industry,” Geert Van Poelvoorde, the president of the European Steelworkers Association, has said in the past. “China must not under any circumstances be regarded as a market economy,” he added. His fears are probably well-placed. 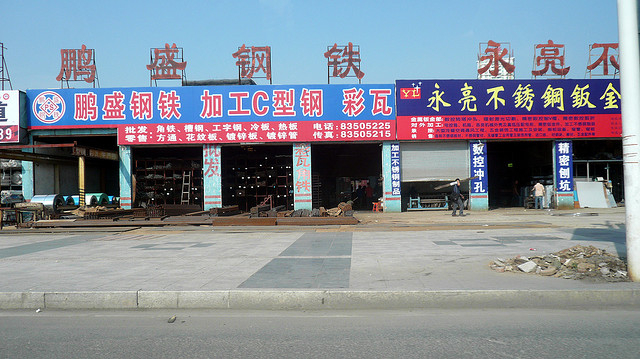 Each year Beijing produces 400 million tonnes of steel more than it itself consumes. Since 2013, the European Union has seen a 120% increase in Chinese imports and thousands of steelworkers across the EU have lost their jobs. And in 2016, Chinese steel production increased by a further 37 million tonnes. China currently produces more than half the world’s steel. Large surpluses in the domestic market, however, lead to sales below the market price on global markets and the violation of international trade agreements. Therefore, Beijing has been accused repeatedly of large-scale dumping. And it is not just steel. According to some people, granting China market status would, in the Czech Republic alone, endanger 47,000 to 94,000 jobs. The Central European Initiative, comprising employers and business associations in Central and Eastern Europe, has also called for greater protection of EU markets against Chinese imports. “We want our governments to insist that the legal framework for protecting our businesses must be preserved and must be further strengthened,” agreed the Initiative. But now it seems that the Commission has listened to the wishes of some EU producers and MEPs. The proposed rules allow the non-standard methods of calculating protectionist measures continued to be used. Ministers in the member states will address the Commissioners’ proposal in May, and MEPs will have it on their agenda later. So the question of China’s market economy status has currently taken a back seat and Brussels is governed by the old order. And this is partly because China still fails to meet the EU criteria for granting market status. So from the perspective of the EU, the problem of free access for Chinese producers to local markets has been warded off for now. China, though, has decided to bring an action before the WTO against the EU and the US. If, however, the newly proposed legislation comes into force, the Chinese complaints will be groundless. This is assuming that the EU continues to adhere to the rules set by the WTO. However, according to the Commission, this goes without saying.